Nail fungal infections are common and nails quickly begin to display a variety of symptoms. At first the nail changes colour to a more yellowy or whiter tone and it thickens. There may appear white or yellow patches on the nail, this is due to the nail separating from the nail bed. Also parts of the nail may begin to crumble or soften or sometime the entire nail falls off. These symptoms can be unsightly and in some cases the infection will worsen and if it spreads to the skin around the nail, it will become inflamed. When the infection is left untreated, it can destroy the nail and nail bed, they can become painful to wear shoes, stand for a long time and in worse case scenarios it can make walking uncomfortable. Fungal nail infections do not go away, they have to be treated as the may worsen or cause permanent damage to the nail or the nail bed. After a number of years researching both traditional and herbal medicine, Simon & Tom have developed the Purity Nails Yoffee Clear formula, an optimal topical solution for killing the nail fungus that contains natural ingredients. 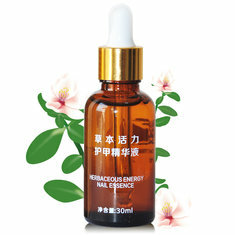 It is an unique mixture of nature’s best antifungal agents, essential oils and fungus-fighting extracts. There are many natural oils and extracts present in Yoffee Clear, each with its own attributes and active elements. The main natural ingredients in the formula are Argan oil, which is renowned for its health attributes, containing Vitamin E, fatty acids, and antioxidants; tea tree oil which is antifungal and antiviral; clove oil which is also antifungal and is a stimulant; pomegranate oil that is a powerful antioxidant and rosemary oil that stimulates growth whilst moisturising the nail. Yoffee Clear is a natural alternative to conventional antifungal pills that may have side effects and are costly. 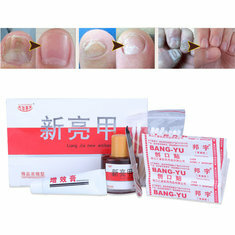 Yoffee Clear nail fungus treatment is very easy to use. Clean and dry the nail first, then add a couple of drops of Yoffee Clear to the middle of the infected nail. Using the small applicator brush, spread the liquid across the entire nail and also on the cuticles and skin surrounding the nail. Let the liquid dry completely before dressing or putting shoes on. Whilst treating the infected nail, use a separate pair of clippers or scissors for the infected nail, keep the nail short and use a separate file to file down any thick areas of the nail. Use Yoffee Clear three time a day. 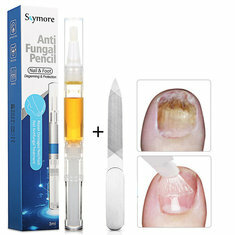 Depending on the extent of the nail infection and the speed of the nail growth, it can take from a month to 6 months for the fungus to be completely eliminated, though many customers have said that they saw improvements with their nail within a couple of weeks. The Yoffee Clear formula has been clinically tested and is suitable to for diabetics. Do not use this formula if the skin around the nail is cracked or broken, and in the unlikely event of a skin irritation, stop using. Once your nail is 100% fungal free, do take precautions to stop the fungus from returning. If you are prone to athlete’s foot, treat any infection as early as possible to stop it spreading to your toenails. Do wear flip flops in communal changing areas, around swimming pools or showers. And let your feet breath, wrapping your feet in tight fitting socks and stuffing them into warm sneakers or shoes all day long is the perfect environment for fungus infections to grow. Nail Fungus © 2019. All Rights Reserved.